Take J10 on M23 and follow A264 towards East Grinstead. At the first roundabout take the 4th exit towards Three Bridges. Take the first left into Old Hollow and The Regency Hotel is the first building on your left. The Regency Hotel is in a unique position. Right on the doorstep of Gatwick Airport we offer all the convenience that today's modern hotel user requires without all the 'hustle and bustle' that usually goes with it. At the Regency we know that no two customers are the same. That is why each of our 15 rooms are individually appointed with fine furnishing and a decor that reflects the style and history of the hotel. All bedrooms are en-suite with either shower or bath. The convenience of tea and coffee making facilities, remote control television, radio, alarm, hairdryer and direct telephone are, of course, standard. If there is anything else you require during your stay at the Regency Hotel, just ask. Discover the Regency for your next Celebration. Weddings, Anniversaries, Birthdays, Christenings are all special occasions and require that bit more and special attention. At The Regency Restaurant & Hotel we have the facilities and the experience to make your big day something really special. Our wedding package provides all the essentials and many thoughtful extras, inclusive in the price, leaving you and your guests free to enjoy a memorable occasion. You can invite up to 70 guests for a sit down meal and up to 100 for an evening reception. The Regency is ideal for conferences and functions as formal or as informal as you wish. Whether a boardroom style conference for 20 people or a buffet reception for 70 in our Restaurant, we will take care of everything. You'll discover a unique blend of comfort and character in a hotel that's not so large that you feel anonymous. If you are planning a business meeting or conference, you may like to specify your requirements or feel free to choose from one or two packages. 24 hour Residential Package (with overnight stay). 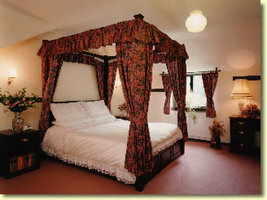 Or why not take over complete hire of the hotel for a residential week or weekend package. In all cases we offer a full range of excellent services and facilities. Stay overnight and there are 15 superbly decorated and well equipped rooms to choose from - all en-suite, with colour TV and tea and coffee making facilities. Among the additional facilities for your pleasure, we offer a fine restaurant, catering for a variety of tastes and a hotel bar for a relaxing drink. Visitors and delegates alike will enjoy the assured hospitality of the Regency. We pride ourselves on our high standard of service, offering a friendly and welcoming atmosphere at all times. For all inquiries, please contact 01293 887 433.